Fall overseeding is something that many homewners might not know about or take the time to do. However, it creates a beautiful, healthy lawn year round. Overseeding is the act of seeding an already growing lawn with grass seed. It helps to grow more turf where it is thinning without starting over with completely new grass installation. Usually, this damage is created from heat, heavy foot traffic, or even lack of water. Overseeding is part of a comprehensive plan for your turf that can create a lush green lawn. Based on geography, type of grass, and time of year, there are differences in overseeding techniques. 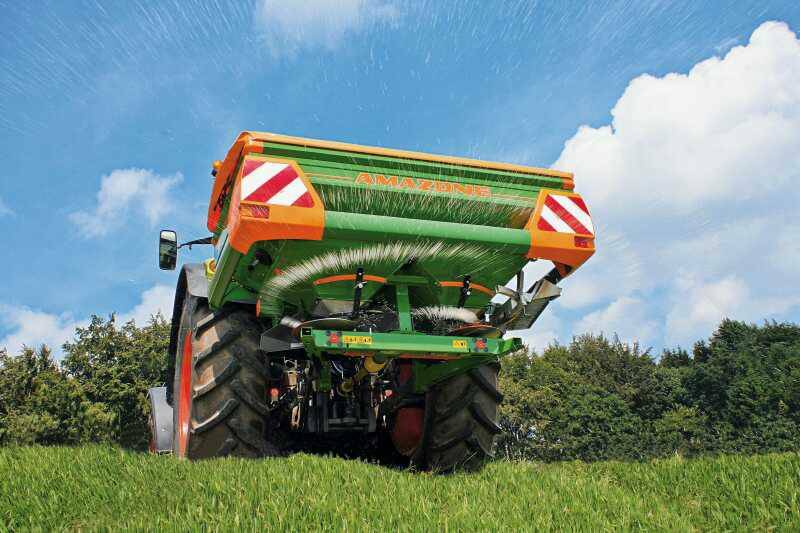 When Do You Practice Fall Overseeding? Fall overseeding should be done earlier in the North because cooler weather happens sooner, whereas it can be done later in the South. By overseeding at this time of year, you are giving your grass a head start before the weather gets too cool. Overseeding, paired with the right amount of sun, fertilizer, etc. can create the perfect lawn. How Do You Practice Fall Overseeding? Overseeding your turf in the fall can be a great investment. Choosing the right seed – Make sure to choose the right seed for both your grass and the climate that you live in. Preparing the turf area – Make sure to mow your lawn before seeding so the seed can come in contact with the dirt and doesn’t go to waste by getting stuck in thick grass. Seeding the turf area – Spread the seed across the turf area evenly. Watering the turf area – Immediately water the seeded area to help grow the seeds. Also make sure to water more frequently (1-2x a day) as you are waiting for the seeds to grow and match your existing lawn. 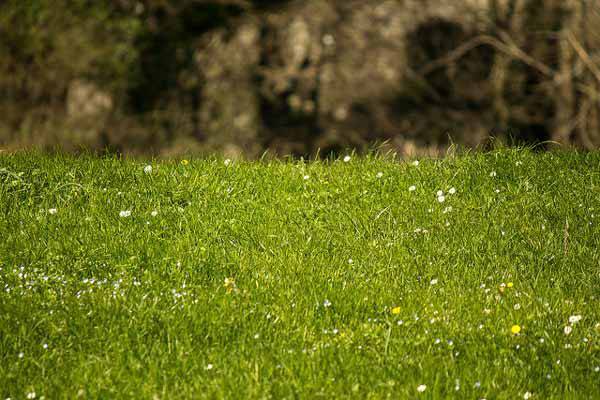 Mowing the turf area – try no to mow as frequently while the new seeds are growing up to the same height as the existing lawn. If you want to improve the quality and look of your lawn by Fall overseeding, but need some help or would like more detailed information, contact Commonwealth Sports Turf Services today! While some might think of sports turf as solely for a soccer or football stadium, that is not where the uses end! Sports turf is a versatile product as it is synthetic in nature and lasts for much longer than real grass. This allows for those that install it to save time and money while enjoying their field or any other areas where it might be installed. 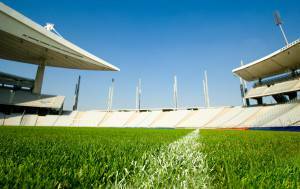 There are many uses of sports turf that come with a multitude of advantages for the user. These advantages generally include that the owner will no longer have to water their grass or worry about pesticide use. They also will have much longer lasting product and not have to replace it as frequently. Here, we will explain only some of the many uses of sports turf in more detail for you to consider. By installing sports turf in a gym or workout area, you can create a space that will be safely used for years. 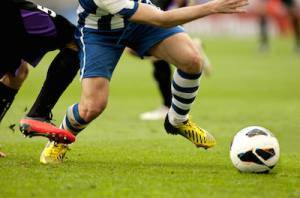 The turf helps for athletic shoe grip and helps to prevent injuries. Installing turf as a lawn is a great alternative to grass that needs to be watered. It is good for all areas, but more specifically ones that are having drought or water usage issues. No more need for pesticides either! By installing turf in the areas where your pet hangs out, you can eliminate odors, mud tracking, and constant dead grass. This is a useful trade that would last for years to come. Turf is also a great option for kids play areas for many of the same reasons as pet and gym areas. It creates a mud, water, and maintenance free space for kids to play on in any climate. Turf can be used as an alternate for grass on putting and put put greens. Using turf has its advantages – a perfect put every time from every angle, as well as no water and pesticide upkeep. While most may not think of this option, turf can be used in large outdoor events and parties. It creates a clean, uniform, and beautiful outdoor look that has easy clean up and can last for years in contrast to the upkeep of real grass. If you would like to learn more about the many uses of sports turf check out Commonwealth Sports Turf Services today. Learn how you get sports turf installed wherever you may need it – and start living the easier life today! Sports field turf needs sunlight to make its own food. Warm season turfgrass needs at least twice as much sunlight as cool season turf. Without sufficient sunlight, the turf quickly begins to deteriorate and have shade stress problems. Shaded areas of sports fields are especially prone to this reaction because sunlight in the shade is low in the red wavelengths needed for energy production. Turf growing in the shade of nearby trees or stadium structures reacts by lengthening, thinning in density, and becoming more succulent. It can’t fend off diseases as quickly as sunny turf, and is injured more easily. Weeds grow. The turf must compete for nutrients from nearby shade trees. The ground may begin to look bare or have drainage problems. Some sports field owners have responded to this crisis with overwatering and overfertilizing, but what the shaded turf needs is half the water and half the fertilizer that the sunny turf receives. What are some other options for turfgrass with shade stress? If all else fails, replace turf with shade tolerant plants, ground covers or mulches in the worst areas. Another option is a shade study. Since the light that filters through the trees (or stadium roofs and adjacent buildings) is constantly changing by the day, season and time of day, a shade consultant can measure and analyze shaded areas. Turf management companies like Commonwealth Sports Turf Services specialize in problem-solving these issues for field owners and organizers. Even without the shade of nearby trees or structures, the weather impacts turf constantly through clouds, fog, smog, rain and looming global climate change. If the heavy rains of the first three weeks of May 2016 continue, Virginia will have its 11th rainiest May since the late 1800s. Sports field owners are beginning to recognize the damage that global climate change can do to the turf on their playing fields, stadiums and golf courses. 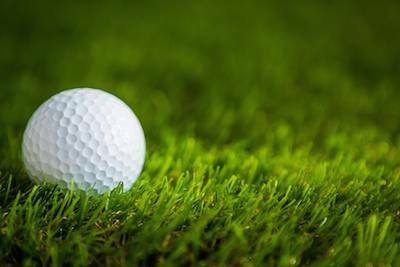 So how should sports turf be managed when shade stress already affects the turf’s quality and predicted climate change exacerbates the stress? Article references are listed below for further reading. Consulting with a turf management firm will start the process of preparing for disastrous climate effects in the future. The Best Turf Products of 2014? Going to a riveting sporting event promises hours of scintillating excitement and for players, coaches and spectators, every facet of the event has to be beyond reproach. The best turf products of 2014 have undergone intense research. This ensures that each sporting event is played fairly and safely and that high quality results are achieved on beautiful fields which enhance the entire event for players and spectators. The turf surface for a sport field is important because the height and condition of the turf can determine ball response and ultimately how the game is played. FIFA for instance, as the world governing body of football, adheres to recognized international standards for their turf, and one of these is that they use real turf which meets with stringent quality criteria. Suitability Of A Particular Species To The Sport – some grasses grow well at higher mowing heights while others handle low mowing. Tennis for example is played at different grass heights to soccer. The best turf products of 2014 offer optimum playing comfort as well as maximum safety for players, low maintenance costs and longevity. Schools, sport clubs, golf courses…you name it, they worry about providing decent fields that can enhance the game. Will the root depth of grass, the soil compaction, the amount of rain the area receives, the particularly heavy traffic areas be able to cope with the needs of the sports people? What about the color of the turf? Nobody wants to play on yellow, dry grass. What about fertilization, aeration and watering? After all good sport facilities are fundamental for all the games people play and give good return on the time and money invested in them. Commonwealth Sports Turf Services have combined sports turf experience of some 30 years and their creative and innovative turf surfaces ensure pristine fields. They understand the science behind natural turf; they understand the different soils, drainage systems and how the turf surface depends on the health of the grass. Without excellent knowledge on turf, the grass won’t thrive and it certainly will not be able to recover from the stress of play. The best turf products of 2014 are able to withstand extreme weather conditions. Commonwealth Sports Turf Services offer improvements in grass breeding with advances in drainage and nutrition, and with their knowledge on turf, they offer sportsmen amazing experiences on the field. https://cwsportsturf.com/wp-content/uploads/2014/11/The-Best-Turf-Products-of-20141.jpg 557 784 Keith Kitchen https://cwsportsturf.com/wp-content/uploads/2013/04/CWLogo-trimmed-F003-cd1.jpg Keith Kitchen2014-12-06 02:10:192019-04-03 11:15:56The Best Turf Products of 2014? What Will Your Field and Turf Cost? Taking care of your lawn can be a great thing, maintaining and keeping up with the turf is something everyone should do regardless of if they’re residential or commercial. 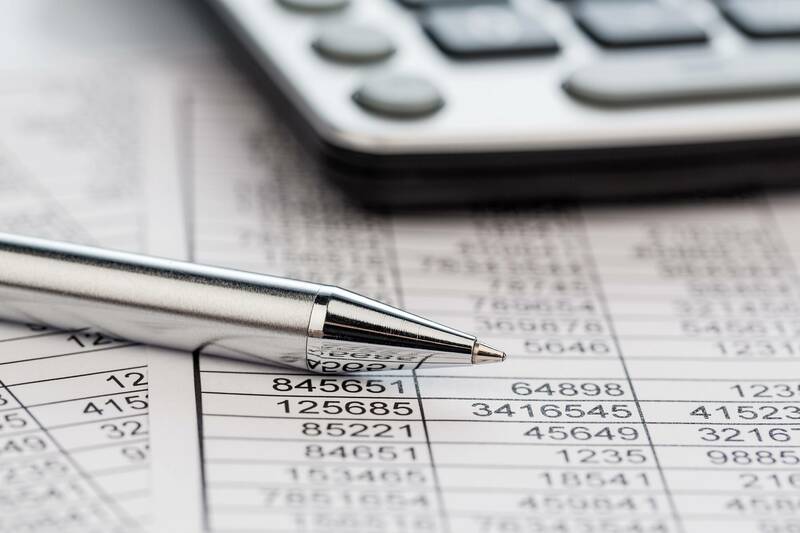 When you’re looking at options for replacing the grass in your yard, at your golf course, on your football field, or wherever you may be renovating, you’ll need to consider what your budget is on the job you’ve got laying ahead. You’re going to want to get the best deal you can for the project that you’re getting ready to undertake, not spending every single cent you’ve got in the hopes of making your grassy surface look as amazing as possible. When you’re weighing your options you have a couple things to consider, from maintenance to what type of grass, and many other variables that could go into helping you decide which one is right for your needs. 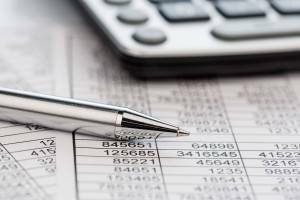 Depending on what you choose you could be looking at a fairly inexpensive project all the way up to more costly project, it’s just a matter of the scope of your job. When you’re planning a project of this nature it’s always best to go over every single option available to you before making a final choice because every little detail could impact the final cost of your field and turf rework. One of the key questions to ask yourself is what type of surface would be best for the area that you’re replacing. In some places you may be better off with natural grass, while other places may be better suited to use field turf instead. Artificial grass is a great option if you’re working on a sporting surface like football, soccer, baseball, and the like as it’s a much safer to land on when you’re taking a shot that drives you into the ground. The downside of artificial grass being that it heats up more which causes dehydration and things such as heat stroke, so it’s essential to remain hydrated when you’re playing on field turf. The opposing side of this equation is that natural grass is actually typically the more cost effective option as it has a lower installation cost, although some have argued that artificial turf can be a better bargain because of the fact that it can be repaired without a complete replacement, but natural grass does need to be replaced much less often than the artificial option. All in all it’s really just up to you which direction you think works best with your project. No matter which direction you’re leaning on your project, the most important part of the equation is picking the right person to complete this job for you. You’ve got many choices for any field and turf changes that you’re looking to accomplish, but there’s only one company that will treat you right. If you reach out to Keith Kitchen and his staff at Commonwealth Sports Turf Services you can rest assured that you’re in the best position possible for all your replacement needs. CWS Sports Turf has worked hard to earn the right to be called the best in the business, and you’re not likely to find anyone out there who can legitimately challenge for the crown. No matter the size of your project you may be surprised at the value for such a reputable company and the outstanding service that they provide. Whether you’re looking at artificial turf or natural grass, Commonwealth Sports Turf is easily the best place for you to turn to in the hopes of getting your surface covered properly. Give CWST a call, they’ll treat you right. https://cwsportsturf.com/wp-content/uploads/2014/09/What-Will-Your-Field-and-Turf-Cost.jpg 523 784 Keith Kitchen https://cwsportsturf.com/wp-content/uploads/2013/04/CWLogo-trimmed-F003-cd1.jpg Keith Kitchen2014-11-22 00:31:102019-04-03 12:49:21What Will Your Field and Turf Cost? Sports fields need to be maintained year round for the safety of the athletes. Field and turf have to be ready for the athletes to play on safely and to do also well at their sport. Late fall care is pertinent for high school and kids football fields. This is to help avoid damages as much as possible from the winter freeze. Maintaining field and turf for these football fields allow commissioners, coaches, officials and parents to understand what is needed to maintain a safe playing field for their kids. The turf on the football fields in the northern part of the US, is mostly Kentucky Blue grass, perennial ryegrass and tall fescue. The turf may remain green in some areas in November, before it dies. So preparing early for the winter will bring an early spring where you can fertilize in the middle of April, instead of in the beginning of the month. The grass may be gone, but the roots may be growing into the winter, in most areas. Always fertilize with extra seeds, in the late fall. Applying fertilizer in late fall is beneficial to having healthy growing turf in early spring for the green-up. A good rule of thumb is to apply one pound of nitrogen per 1,000 square feet, right after the first hard frost. This also helps the turf plants deal with the cold weather. Use SEO or Google to get a guide to tell you how much fertilizer what you need. Check to see if there are any restrictions with your State on any times of the year that fertilizer is not allowed to be applied first. Use slow release nitrogen and apply it right after the frost has gone down and the soil has just become softer. 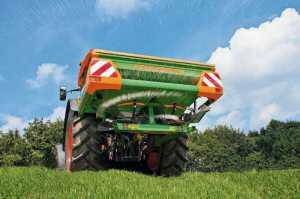 Heavily used fields could cause soil compaction. This means that the air gets squeezed out of the pores between soil particles. As those air pockets disappear, there is less oxygen for the turf roots to grow. As a result, the turf suffers from a host of other problems that involve soil compaction. Soil compaction is relieved through a process called, aerification. This involves removing the soil cores from the field. Then you re-create the air pockets in the soil. That produces a softer surface for the turf to grow and a safe field for the players to play on. 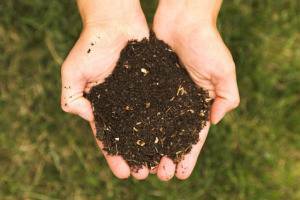 Compost with aerification could give great results in improving your field’s soil. To determine if your field can benefit from this, you can get the organic matter tested at your state’s land grant university. They can perform an organic matter test for your field and turf. Some labs will not only test the organic matter, but they will give a generalization as to how much compost to apply. 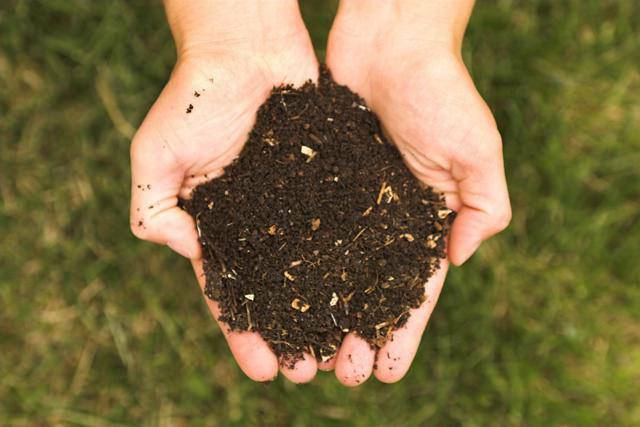 It’s important to select the compost with characteristics that will improve healthy turf growth. Hopefully, you have been overseeding. When you have some leftover seed, spread it onto the field after the last game. Pulling all these maintenance factors together is a great way to put your field to bed for the winter. To seek professional help, contact Commonwealth Sports Turf Maintenance and they help get your field ready.